Composed of a premium quality aluminum body, STEELWING features wing-shaped front panels and panoramic tempered glass. STEELWING is a master craftsmanship with modern, elegant exterior design. 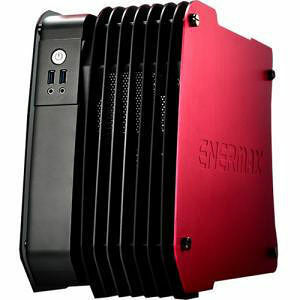 This Micro-ATX aluminum case also serves as an excellent cooling enclosure for your precious hardware.